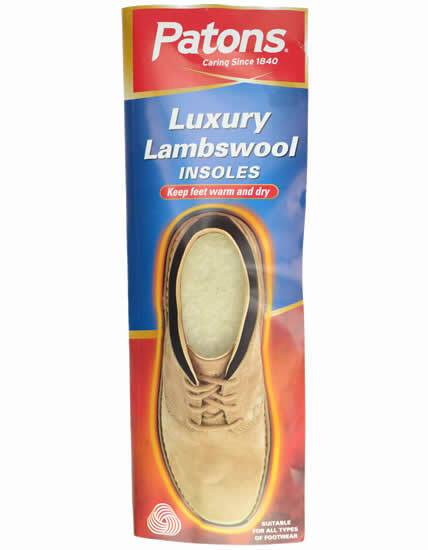 Genuine luxury lambswool for maximum warmth and comfort. Porous to allow foot to breath. 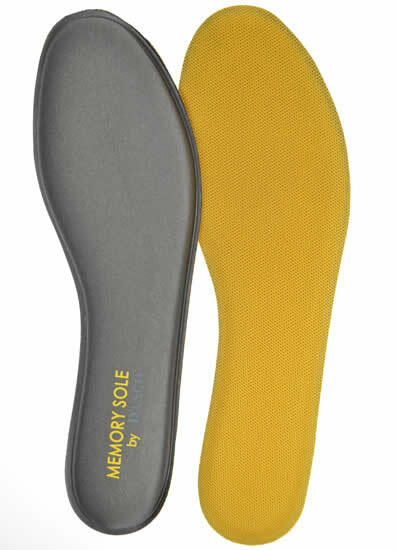 Natural cushioning qualities help absorb impact shock and reduce foot fatigue. 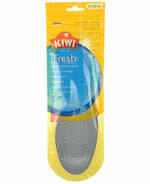 Foam base with activated charcoal helps prevent foot odour and promote foot hygiene. Size: Mens 6-7; Womens 7-8. Made in the EU. May be cut down to smaller sizes. 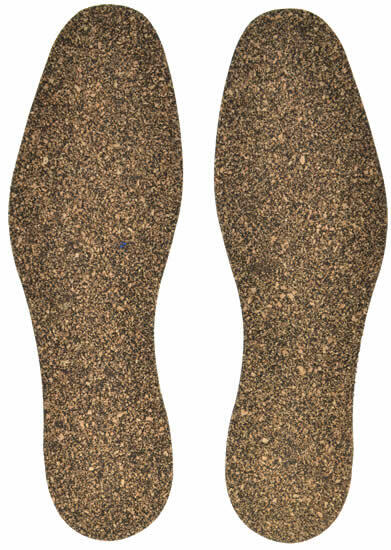 One pair (item). 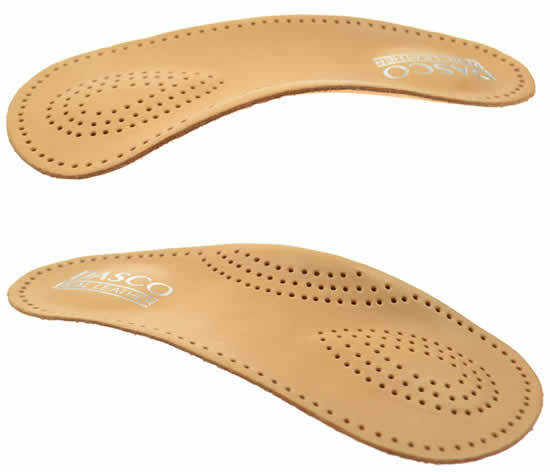 Real leather comfort insole with thin foam cushion on the underside. (Can be trimmed). Unisex. Per pair. 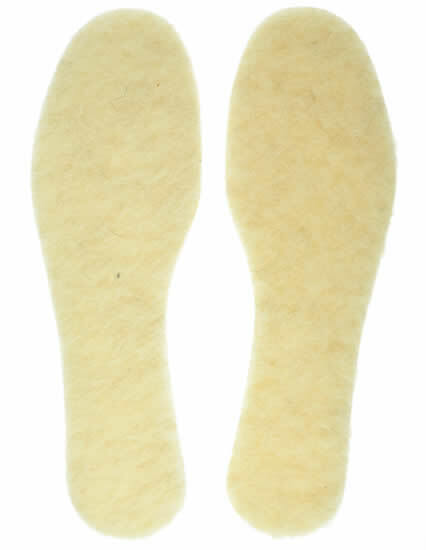 Warm fleece insoles with comfortable foam base which makes it more comfortable and helps keep the insole in place in the shoe. Per pair. 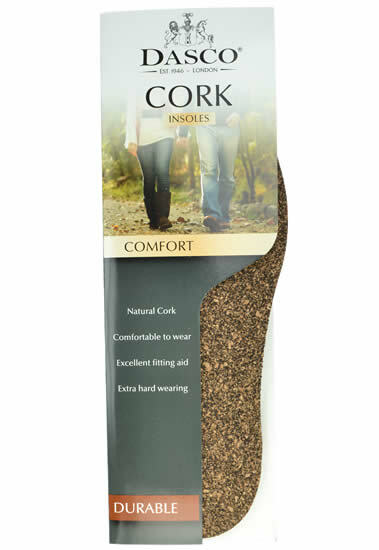 Utra thin and lightly fragranced insoles that allow you to enjoy the feeling of fresh foot comfort all day long. 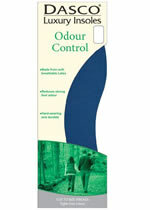 Ideal at any time of the year to prevent odour and moisture build up. (Can be trimmed). Unisex. 8 pairs. 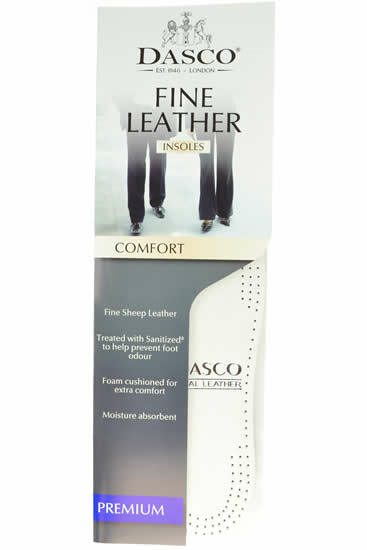 Fine luxury sheep leather insole with foam cushion for extra comfort. 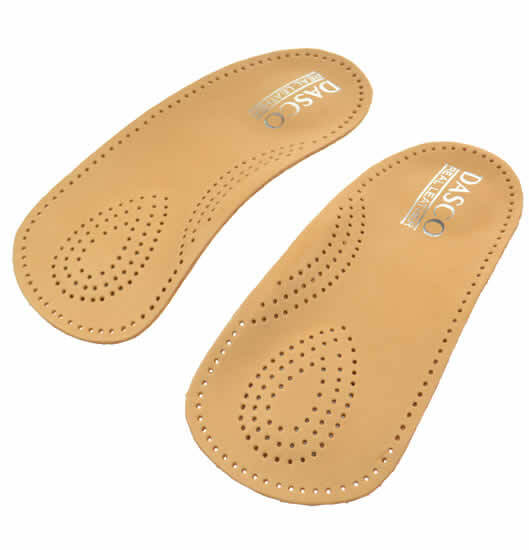 These insoles are made from one piece of cut leather and not from 'reconstituted' leather like many 'leather' insoles. Moisture absorbent. Treated with Sanitized® to help prevent foot odour. Per pair. 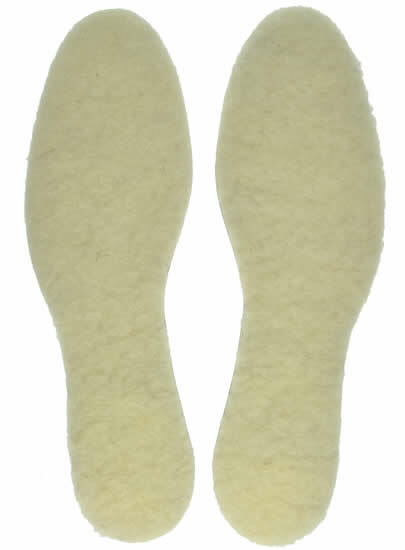 Fine luxury sheep leather insole with foam cushion for extra comfort. 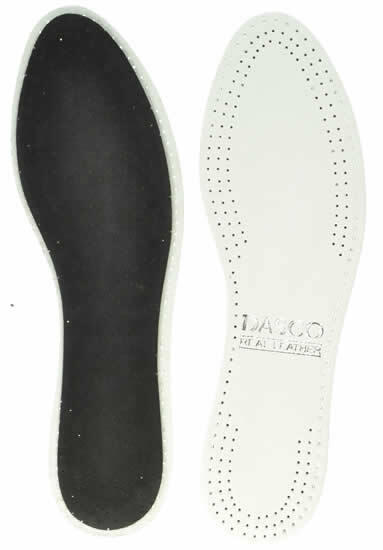 These insoles are made from one piece of cut leather and not from 'reconstituted' leather like many 'leather' insoles. Moisture absorbent. 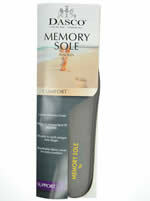 Treated with Sanitized® to help prevent foot odour. Colour: White. Per pair. 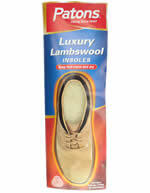 Fine luxury sheep leather half insole with foam cushion for extra comfort. These insoles are made from one piece of cut leather and not from 'reconstituted' leather like many 'leather' insoles. Moisture absorbent. 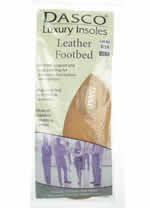 Treated with Sanitized® to help prevent foot odour. Per pair. d with Sanitized® to help prevent foot odour. Colour: white. Per pair. Dasco cork insoles are made from natural cork, are comfortable to wear and an excellent fitting aid. They are also extra hard wearing. Per pair. 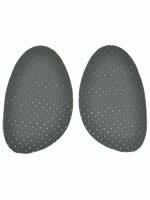 Dual layer foam half insole for extra cushioning. 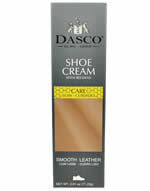 Ideal fitting aid for fashion shoes. Moisture absorbent. 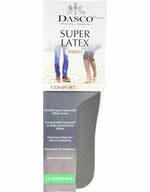 Impregnated with anti-bacterial to prevent foot odour. Perfumed for freshness. Per pair. Double layer latex foam insole with fabric cover for extra cushioning. 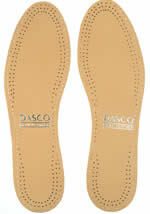 Ideal fitting aid for fashion shoes. 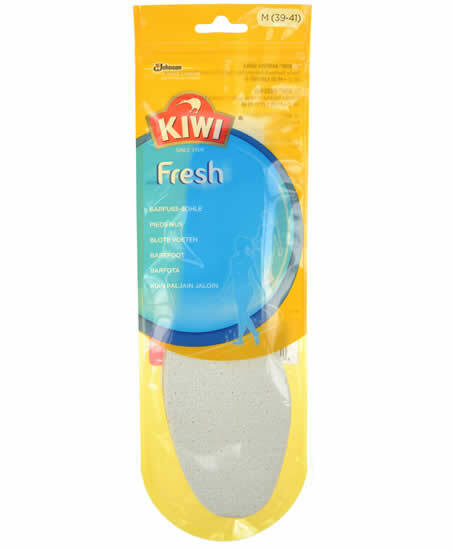 Moisture absorbent. 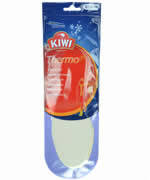 Impregnated with anti-bacterial to prevent foot odour. Perfumed for freshness. Per pair. 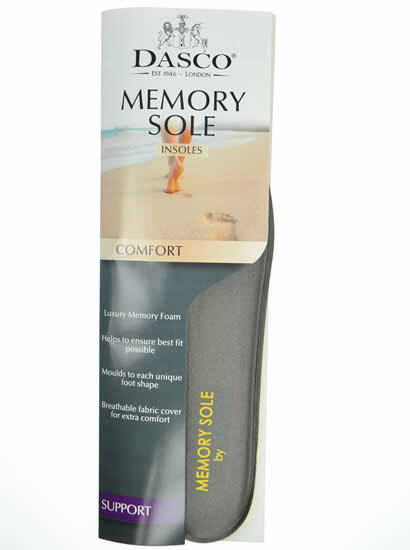 Keep your feet cushioned, comfortable and odour free. 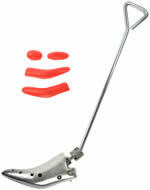 Made from soft, breathable Latex. 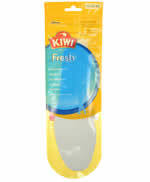 Reduces strong foot odour. Hard wearing and durable. Size 32 - 46 with easy to follow cut out. Per pair. 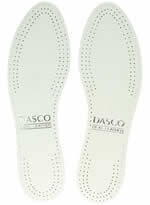 Dasco lambswool insole is made from real lambswool. 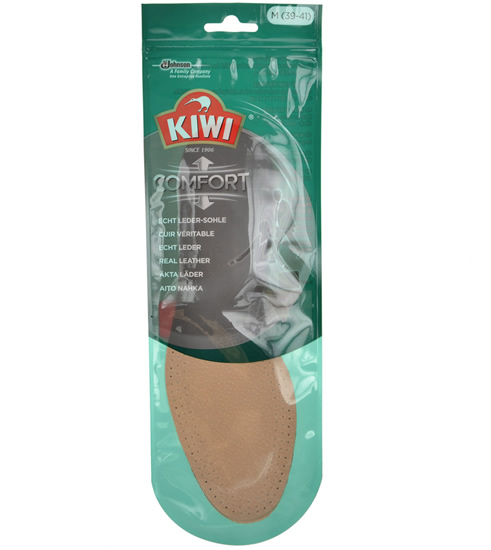 With a foam cushion on the underside for extra comfort which also helps to stop the insole sliding. 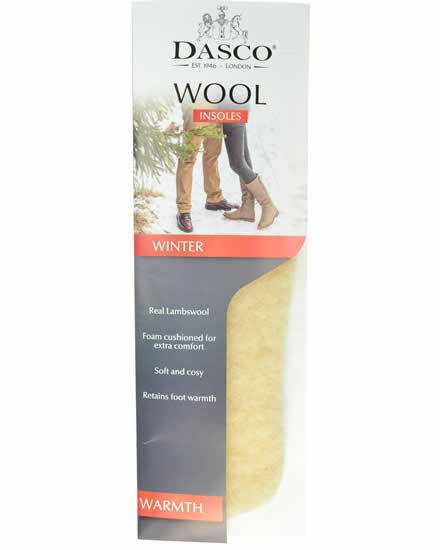 Soft and cosy they help to retain foot warmth. 1 pair. 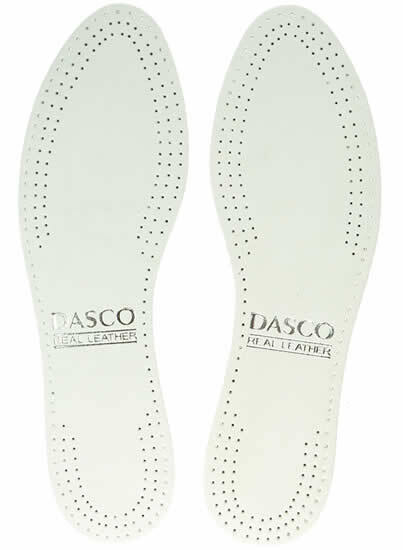 Dasco Luxury Memory Foam Insole - Helps to ensure the best fit possible by moulding to each unique foot shape - Breathable fabric cover for extra comfort - Per pair. 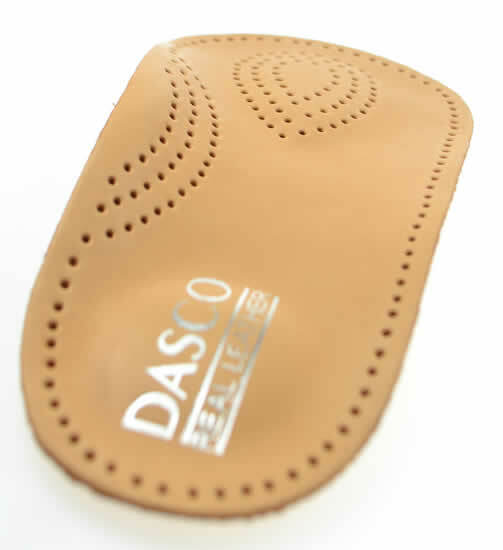 Dasco contoured comfort leather liner insole - Anatomically shaped for support & relief. 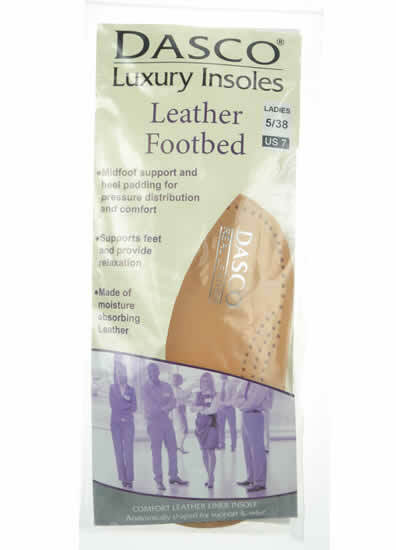 Midfoot support and heel padding for pressure distribution and comfort. 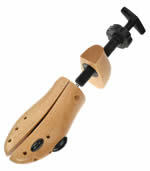 Supports feet and provide relaxation. 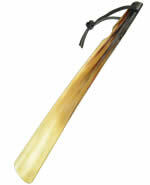 Made of moisture absorbing leather. Per pair.